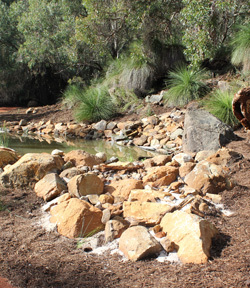 This property is in the foothills of Wattle Grove bordering Crystal Brook. 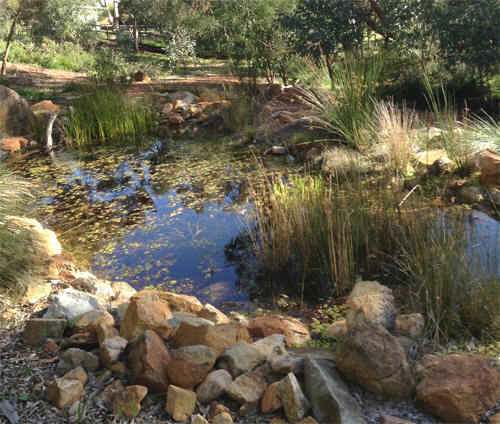 The pond is now home to a range of frogs, tadpoles, dragon flies and a huge range of other birds and insects are also regular visitors. 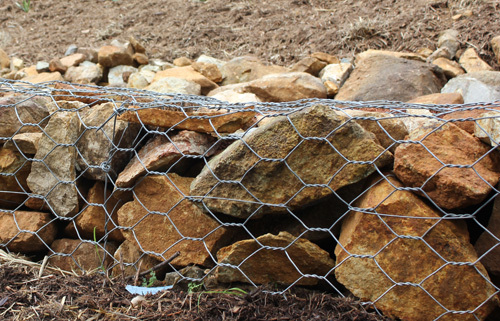 The garden includes extensive use of small gabion cages for garden walls. 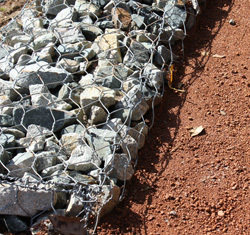 Some of the stone fill has been sourced on the property. 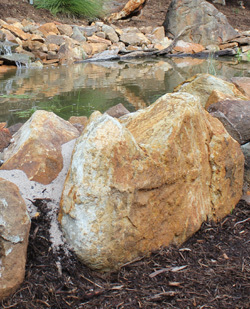 The remainder has been sourced from a local granite quarry just a few suburbs away. 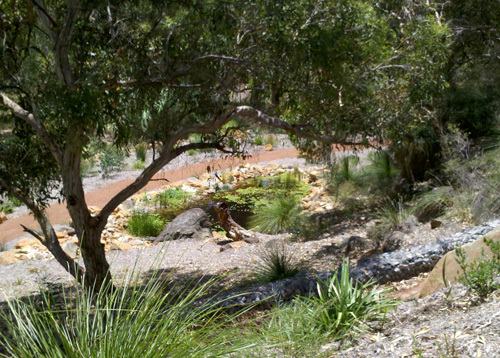 The plants used are mostly indigenous natives. 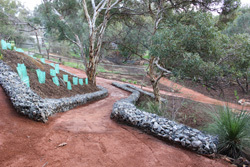 The vision for this area is that it will ultimately be an extension of the areas of remnant bushland already existing on the property. 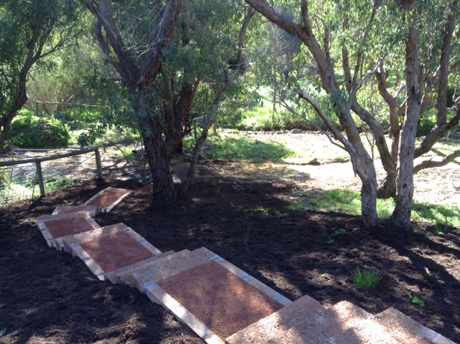 The garden has now also been extended into the first paddock with more native planting and a grass tree transplanted from another part of the property where it needed to be removed. 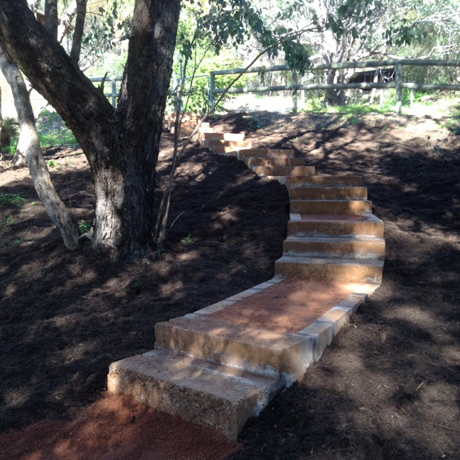 Steps using natural earth blocks were also installed to enable good access from the driveway.